Our live performance is everyone’s favorite classic holiday tale which gets the fractured fairy-tale treatment. 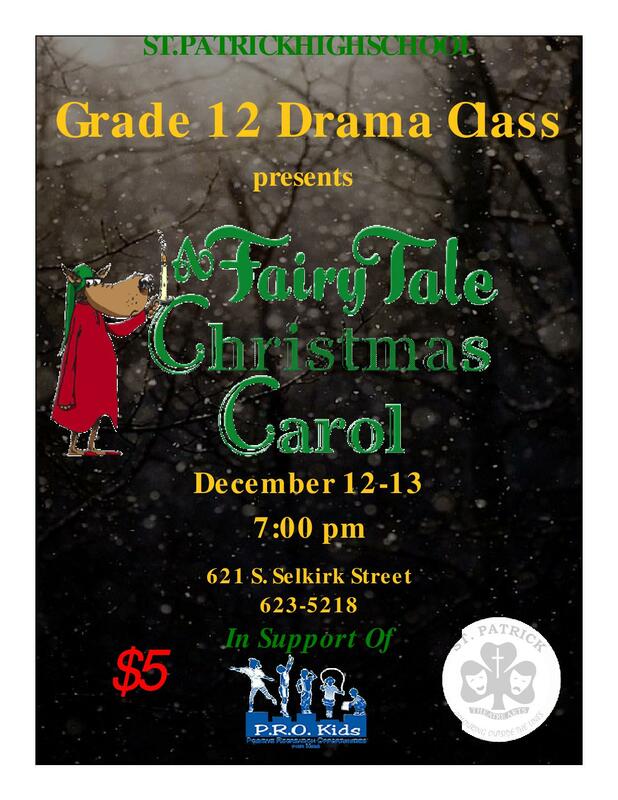 All the famous fairy tale characters take on all of the memorable roles of Dickens’s A Christmas Carol. You’ll never know who will show up as the Big Bad Wolf (Edenezer Scrooge) meets his old business partner Jacob Midas (Marley), who could turn anything into gold. Midas warns Big Bad that he’ll be visited by The Ghost of Christmas Past, Present, and Future (played by a Fairy Godmother, Old King Cole, and the Queen of Hearts respectively). The ghosts make Scrooge realize what a scoundrel he’s been to the Charming (or Crachit) family and help him to remember what the Christmas spirit is all about. This fun-filled adaptation stays true to the warmth and heart of the classic. Tickets can be purchased at St Patrick High School’s main office Monday-Friday from 8:30-3:30. All proceeds will be donated to The Lakehead Shrine Club and PRO Kids.